Want to explore the less-trodden trail in Central America? Follow our guide Honduras – All You Need To Know Before You Go and encounter an old treasured world that’s itching to be rediscovered. As stunning as it is troubled, Honduras is one of Latin America’s most off-the-beaten-path destinations, whose relative obscurity belies a wealth of natural and historical wonders. From the breathtaking underwater world at Roatan to the awe-inspiring Mayan ruins of Copan, and the wildlife brimming virgin cloud forests of the Cusuco National Park among countless others, Honduras is a powerhouse of new discoveries, unknown wonders, and a culture that’s utterly captivating. Honduras has been fighting on hand and knees to rid itself of its bad reputation, yet a government initiative to clean up the streets (and its status) is proving quite fruitful. Just a few months ago, CNN named Honduras a top travel destination for 2016, confirming what countless others have known for years: if you’re looking for a unique, diverse, welcoming, and unforgettable new place for your next Latina America tour, you really couldn’t choose a better place than Honduras. Then read on Honduras – All you Need to Know Before You Go and discover one of the most fascinating countries in all of Latin America. 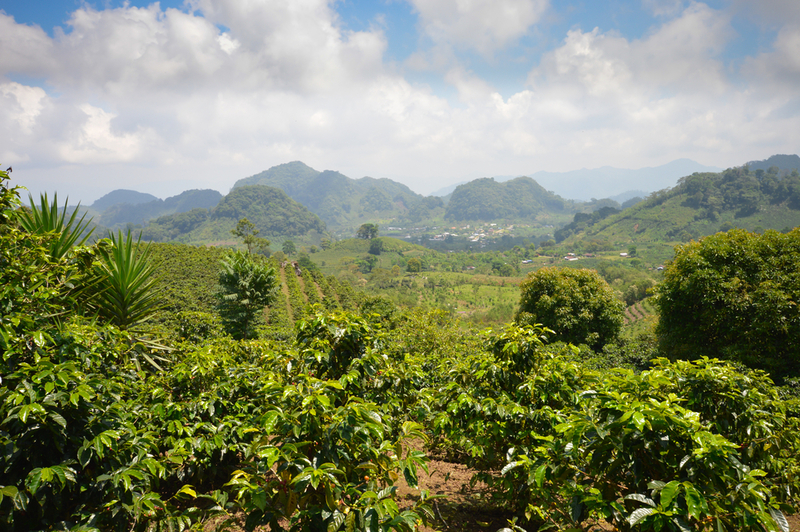 Coffee Plantations in Honduras. Photo credit: Shutterstock. A country of 8.8 million people, Honduras is in Central America and borders Guatemala, Nicaragua and El Salvador. Spanish is the official language yet English is widely spoken. Comprising a mix of ethnic groups, Honduras’ population is primarily Christian. Over 60% of the people in Honduras live below the poverty line, with many having no access to fresh drinking water, basic healthcare and an education. Plagued by years of civil unrest and violence, this is a country hell bent on waking from its economically and socially catastrophic slumber. With a government intent on maximising safety for visitors, and a tourism board zealously showing off the country’s unending treasures, Honduras is seeing a rise in tourist numbers and swiftly emerging as Latin America’s most priceless gem. For Hondurans, this really couldn’t come at a better time. Locals are friendly and welcoming and take the safety of visitors very seriously. In many ways, this can easily feel like the safest country you’ve ever visited, and that’s precisely what your hosts want to convey. Safety precautions should be adopted, (as is usually the case when one travels) but do note that Honduras receives hundreds of thousands of tourists a year, 99% of whom go home with only happy memories and not a single sign of trouble. There’s no denying that Honduras’ crime rate is nothing but shocking, but it helps to learn that much of it is centred on gangs and drug wars. Honduras has been plagued by political instability, internal turmoil, and abject poverty for decades. The resulting high crime rate is certainly nothing unique, unfortunately, yet much like other hot spots around the world, a great majority of trouble is not aimed specifically at tourists. Moreover, the less desirable areas are located in very remote regions of the country where police presence is virtually nil. As a tourist, your safety risks are infinitely mitigated simply by visiting the most popular areas. Obviously, this is where all the best attractions are! 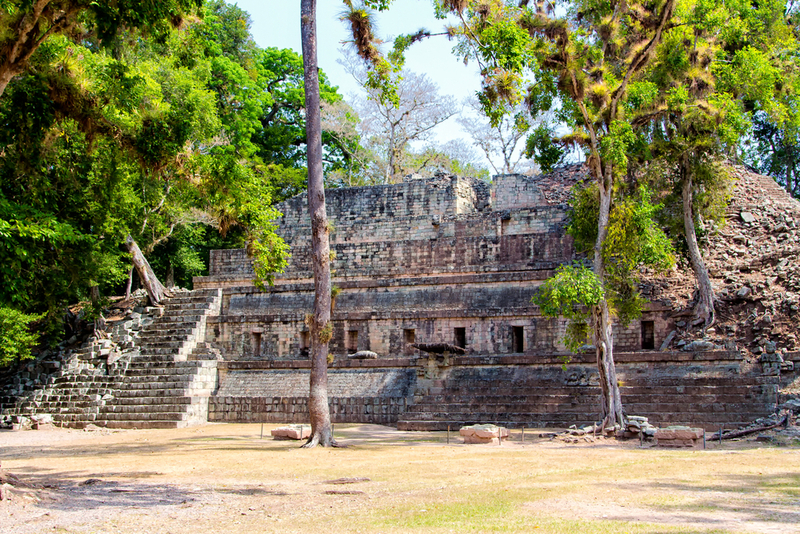 The Safe area of Copan. Photo credit: Shutterstock. Basic health and safety tips include being more than a little cautious displaying wealth, much as you would do when traveling to any other lesser developed country the world over. Steer clear of isolated areas, especially at night and if traveling alone. You’ll no doubt notice the at-times confronting security measures taken by the government and locals to provide you – the tourist – with a high sense of security. Armed guards outside prominent ATMs may seem troubling to the uninitiated, but soon enough you’ll appreciate the efforts implemented. 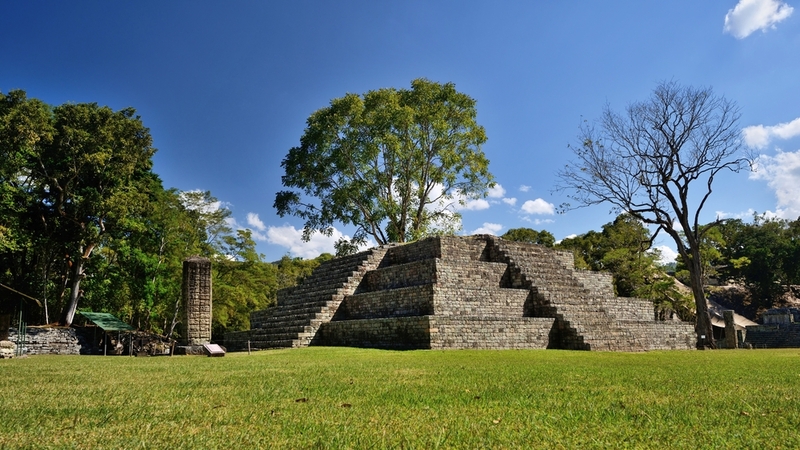 The overwhelming majority of visitors to Honduras feel perfectly safe, especially in touristy areas like Copan, where the atmosphere is ever-busy and vibrant. As far as health troubles are concerned, you should note that Honduras has had a few Zika-virus reports, so read up our comprehensive Zika Virus guide and be aware of the risks. Insect repellent and sunscreen are a non-negotiable must, and only drink filtered or bottled water. Roatan in Honduras. Photo credit: Shutterstock. Avid scuba divers have been heading to Honduras’ coral barrier reef for decades, and rate the underwater magic here second to none. The lack of mass crowds means that the world’s second-longest reef is blissfully pristine and all of the Caribbean waters around the Bay Islands (of which Roatan is the largest) are home to a plethora of tropical fish and coral. The diversity of marine flora and fauna is spell-binding, as are the stretches of superlative sandy beaches which characterize this Honduran paradise. 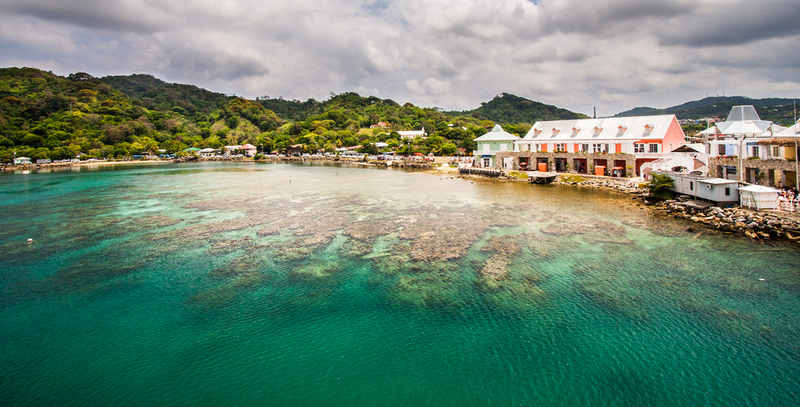 The reefs off the splendid shores of Roatan are home to about 95% of species found in the whole Caribbean region, including gigantic Barrel Sponges, Brain and Whip Coral of fantastical colours, as well as sharks, dolphins, three species of turtles and colossal colonies of various rays. 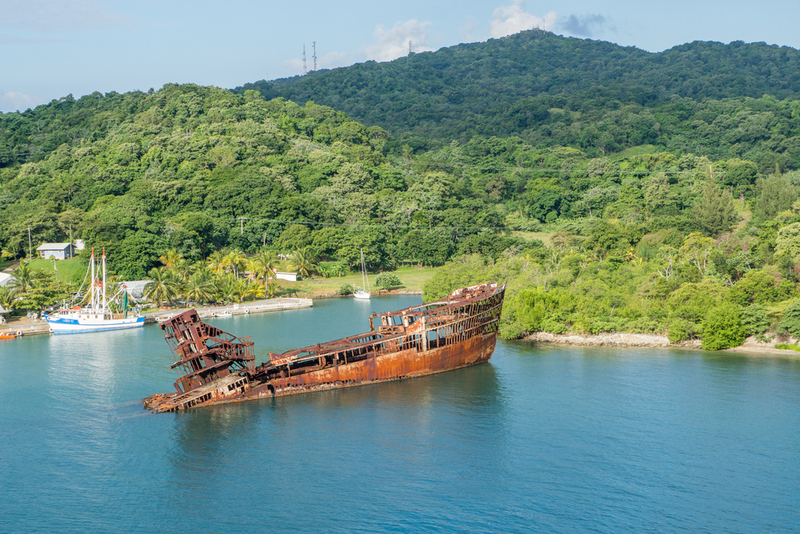 Shipwreck in front of the coast of Roatan. Photo credit: Shutterstock. The dry season runs between late January and April and this is ideal for diving as the lack of rains means visibility is at its highest. Between May and late December popular highlights can be affected by heavy rains, with road blockages being common particularly in remote areas. Having said that, rain makes cloud forests simply burst with iridescent colour, so although you may want to skip the wettest months (between July and November) visiting during shoulder season can also be extremely rewarding. An eclectic mix of white and mestizo (people of mixed white and Amerindian descent) the population of Honduras comprises over half a dozen indigenous groups. Much as with the rest of Latin America, local Hondurans are a conservative lot so showing less skin and donning flowing tops and skirts/pants will help you feel more at ease. Although up until two decades ago you’d be hard-pressed to encounter a woman wearing pants, this is no longer the case and you’ll surely come across trendy young things with tight fitting clothing, especially in the larger cities. Nevertheless, visitors tend to feel more comfortable with less revealing clothing as it will invariably attract less attention. Just because there’s an ATM at the 5* resort in Roatan it doesn’t mean you can rely on it to work. Welcome to Honduras! Knowing ahead of time that you shouldn’t expect everything to be smooth sailing when visiting Honduras can help prevent inconveniences. ATMs do go bonkers occasionally (and then some) so taking a mix of cash (small US dollar bills are useful) and travellers cheques is a great idea. Hotels, restaurants and a few upmarket boutiques accept credit cards, but you’ll find yourself souvenir shopping in smaller stalls so cash is always a must. On the upside, Honduras can be an absolute bargain so you’ll find your hard earned holiday-cash stretching a while here. The local currency is called the Lempira, but USD bills are readily accepted everywhere and, in some case (like in Roatan) the only accepted currency. Public transport in Honduras can likewise be a hit and miss, with metered taxis non-existent (so be ready to haggle before each ride) and public buses unreliable. In fact, one of the best conveniences of booking an organized tour in Honduras is the fact that you’ll have private transport at the ready, and a knowledgeable guide to help in case any issues arise. Honduras is famous for ceramics, silver, leather goods…and cotton socks! 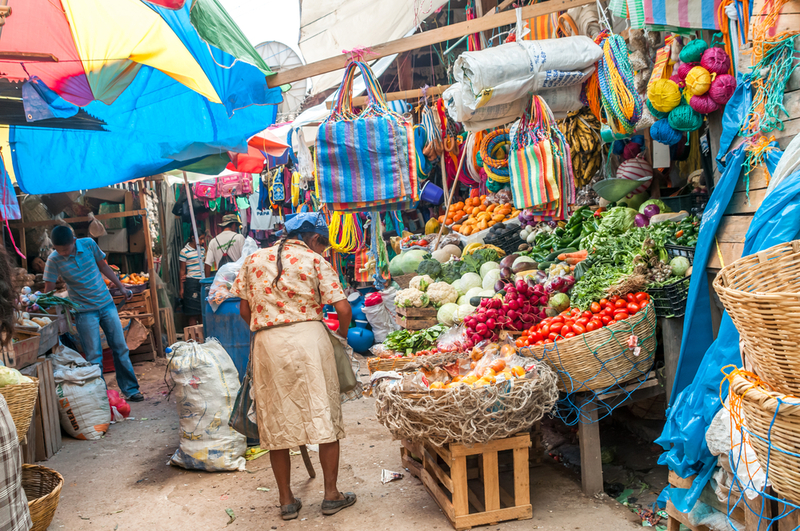 Market in Copan, the perfect place to buy your souvenirs. Photo credit: Shutterstock. Got an odd number of socks you need to replace? Now’s your chance! Hondurans are particularly gifted craftspeople and the most amazing souvenirs you’ll come across are made out of metal, wood, ceramic, terracotta, leather and all sorts of fabrics. Colourful, inexpensive and unique, Honduran souvenirs make for fantastic keepsakes and much appreciated gifts. Hammocks are almost a religious symbol in Honduras, and revered by locals and tourists alike. You will see them everywhere. Coffee liquor is probably the most delicious souvenir you can buy, along with organic coffee beans from the most prolific coffee growing region of the country, near Copan. Hand painted pottery, and hand carved jade are also very authentic, although with the latter you may want to ask for expert advice, as jade and hard plastic can look deceptively alike. Interestingly enough, cigars are also very popular here, and produced by proud Cubans who migrated to Honduras over the last 50 years and brought with them unmatched cigar-making skills. Everyone’s heard about the incredible wildlife in Latin America, yet not many know that Honduras is home to some of the most untouched wilderness in the whole region, brimming with a host of unique creatures. Boasting enviable biodiversity, Honduras is making headway in establishing itself as an eco-tourism destination, and the rainforest here is the largest north of Amazonia. In the country’s Biosphere Reserves and protected parks you’ll find manatees, iguanas, tapirs, giant anteaters, various species of monkeys, and even jaguars, although the last are more than difficult to spot. This is also a bird watcher’s haven, with an abundance of colourful macaws, toucans, parrots and quetzals, one of the most revered bird of the Maya and Aztec civilizations. Longing for an adventure filled journey of discovery in Latin America? Then head where far fewer tourists go, and join us on a tour of Honduras that’ll revitalize your soul and open your eyes to a brand new and exciting corner of Central America. Click here for more information about Chimu.